(L-R) Lagos governor-elect Babajide Sanwo-Olu, President Muhammadu Buhari, deputy governor-elect, Dr. Obafemi Hamzat, during a courtesy visit to the president in Aso Rock Villa, Abuja on Monday, March 18. Lagos State Governor-elect Babajide Sanwo-Olu has assured Lagosians of providing solutions to diverse challenges in the state. 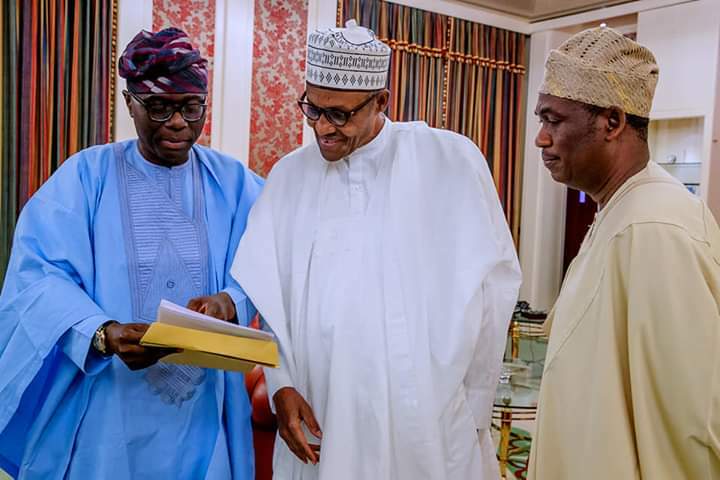 Sanwo-Olu, who was elected on the platform of the All Progressives Congress (APC) gave the assurance when he and his deputy Dr Obafemi Hamzat visited President Muhammadu Buhari in Abuja. 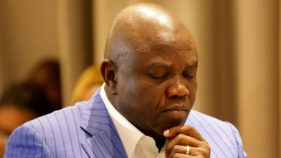 He said Lagosians should expect solutions to many of the challenges they face in the areas of transportation, housing, waste management, health and education. He explained that ”We know that with a mega city of our status, it comes with a lot of challenges but we are lucky that we have been part of it before now and we are excited that the solutions we are bringing up – many of which we told our people on the campaign trail. “We are sure we will very quickly, be able to bring about positive development that will improve the quality of lives and ease all of the challenges that we currently have in Lagos,” Sanwo-Olu said. The governor-elect, who served as the commerce and industry commissioner during Babatunde Fashola’s administration, said he and his deputy have the competence and capability to provide good governance for Lagosians. 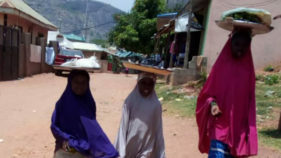 He added that the visit was to congratulate Buhari for winning his re-election in the presidential election. President Buhari who received Sanwo-Olu and Hamzat also felicitated with the duo for their victory in the gubernatorial election.